UPDATE: Ipswich City Council will waive a parking fine issued to a new mother as she underwent a 17-hour childbirth. 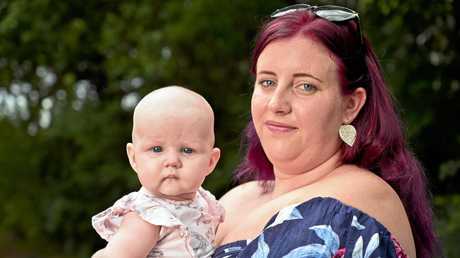 First-time mum Rachael Betteridge-Lucky was fighting the $170 fine, saying she was in no state to be able to move her car from a three-hour zone near Ipswich Hospital. Council administrator Greg Chemello told ABC Radio this morning the fine, issued in August, would be waived. Mr Chemello said council had no record of Ms Lucky's application to have the fine waived. He said this was an issue that occurred from time to time, where people in emergency medical situations had been fined while being treated in hospital. "In these sorts of circumstances when there's a serious health issues going on it's clearly common sense that we waive that fine," he said. "It's simply a matter that we never got any record of any application to waive the fine." The administrator said council would contact Ms Betteridge-Lucky today. EARLIER: A first-time mother has been stung by Ipswich City Council's parking officers as she underwent a traumatic 17-hour childbirth. 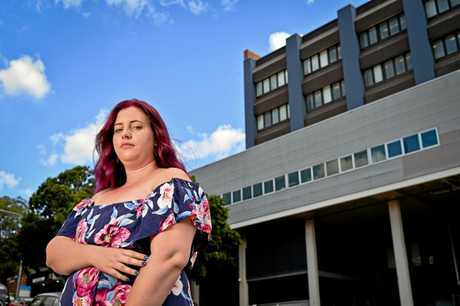 Rachael Betteridge-Lucky is fighting to have a $170 parking fine waived after she was hit while giving birth at Ipswich Hospital; declaring she was in no state to run outside and move her Hyundai. As Ms Betteridge-Lucky battled through labour to deliver baby Clara in August, the council's parking officers were patrolling outside. Ms Betteridge-Lucky said her mother was forced into a three-hour zone after the search for a park in the multi-storey, paid-parking facility was fruitless. She settled for a spot on the nearby quiet Walker St.
Several weeks after giving birth the young mother received a fine in the mail. "I was pretty angry," Ms Betteridge-Lucky said. "This was only three-hour parking and it doesn't take three hours to have a baby." The first-time mother was admitted to Ipswich Hospital about 3.30am and would give birth 17 hours later. Ms Betteridge-Lucky said her mother had intended to move the car. "Because my birth didn't go very smoothly mum stayed with me... I just wasn't so healthy," she said. "I was in pretty bad condition. "I couldn't run across the road to move the car." She phoned the council to explain the situation in an effort to have the fine waived. "The lady on the phone was wonderful and she told me what to do but I guess nothing happened after that," she said. Ms Betteridge-Lucky said the council did not respond to her request until a final notice of demand was issued this month. A council spokesman said it was willing to review the matter, but had not received a request to waive the fine. 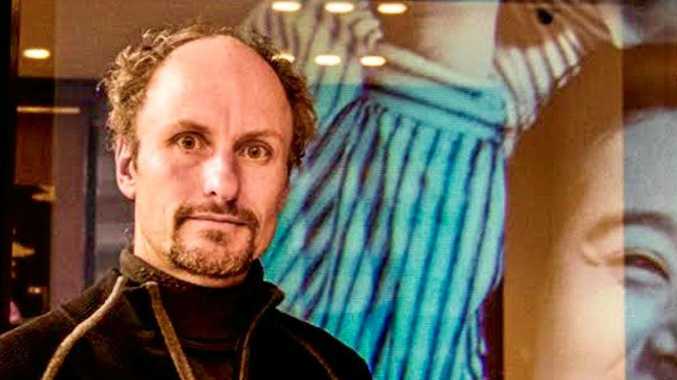 "If the person submits a statutory declaration and supporting documentation, including when she sent a review request to council, then council can look at recalling it from SPER and withdrawing the infringement," he said. "There is no record of receiving a request for review from this customer or about the infringement. "Circumstances regularly occur in which infringements are withdrawn as factors are raised that officers could not have been aware of at the time an infringement was issued." This poll ended on 31 January 2019. The council will review the woman's matter, rather than direct her to the State Penalties Enforcement Registry; where the fine now sits. "The usual process concerning this sort of issue is that unless there is an exceptional circumstance as to why they didn't request a review prior to it going to SPER, then we refer the customer to deal with SPER about it," he said. "In this case council is willing to review the matter." Ms Betteridge-Lucky wants the council and West Moreton Health to make parking a little easier. "Some people will come here and they shouldn't be having to worry about what time they park their car," she said. "They're visiting someone who is about to lose their life or someone who is bringing new life, it's a big stress on people."